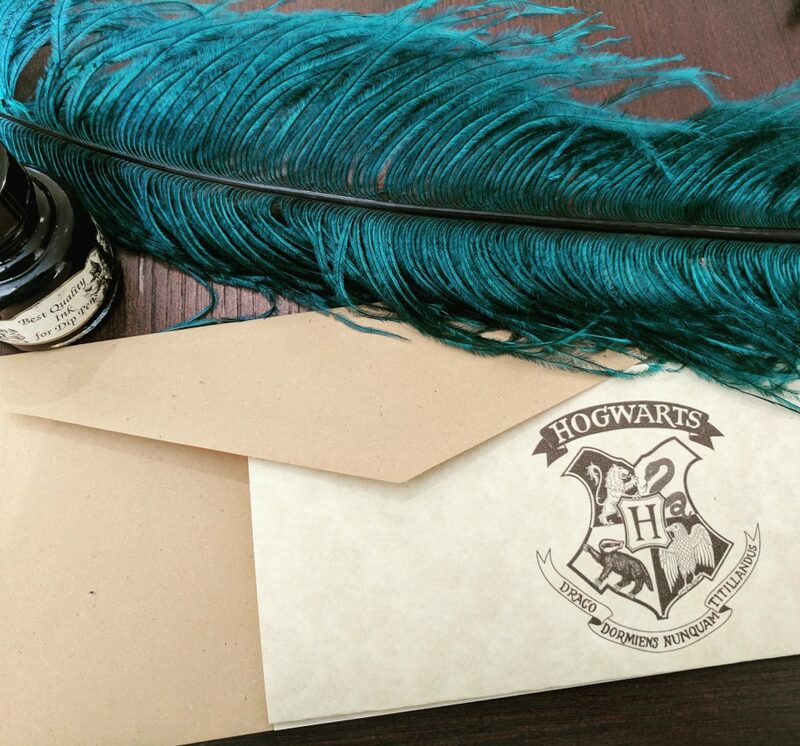 Harry Potter 20th Anniversary Part 1 – Harry Potter Party Invites and Decor! 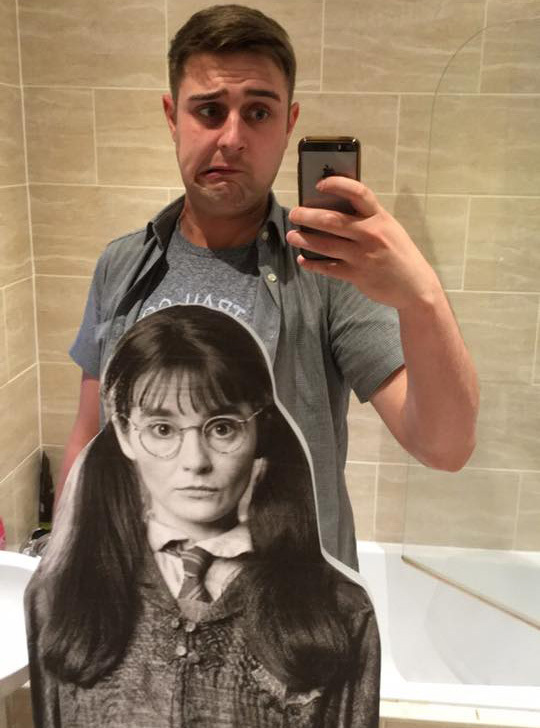 For most of my twenties, I’ve been hosting themed parties (Disney, Video Game Characters etc…) and so this year for my birthday I hosted a Harry Potter themed party! Harry Potter is one of my favourite things ever and next week is the 20th anniversary of the publication of the first book! 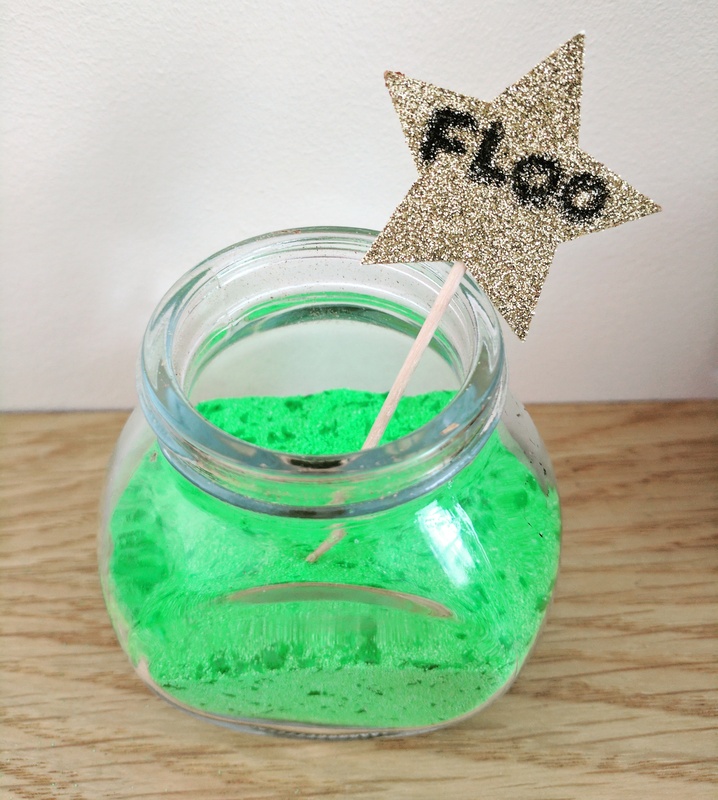 So in conjunction with this and my birthday party, I thought I’d do two posts about my Harry Potter Party Inspiration! 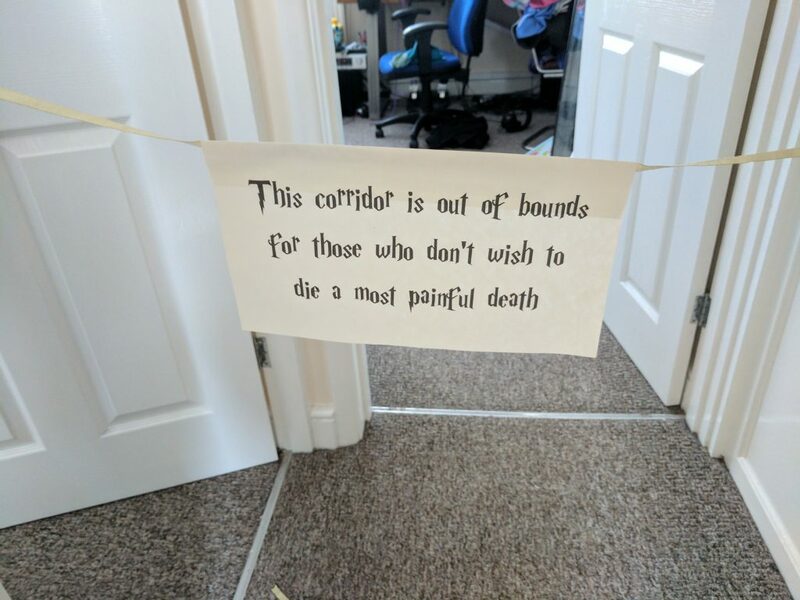 Part one below is my Harry Potter Party Decorations and Invitations, followed by part 2 next week (June 24th) for food/drinks and games! I like to set my parties up really early and hopefully get everyone excited! 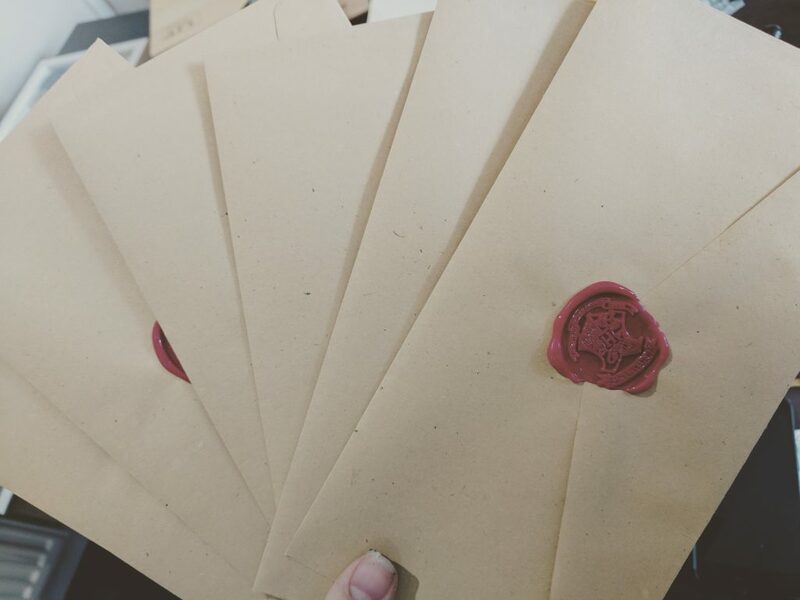 I am lucky to have a lot of friends who love HP so I sent them all personalised and wax sealed Hogwarts acceptance letters! 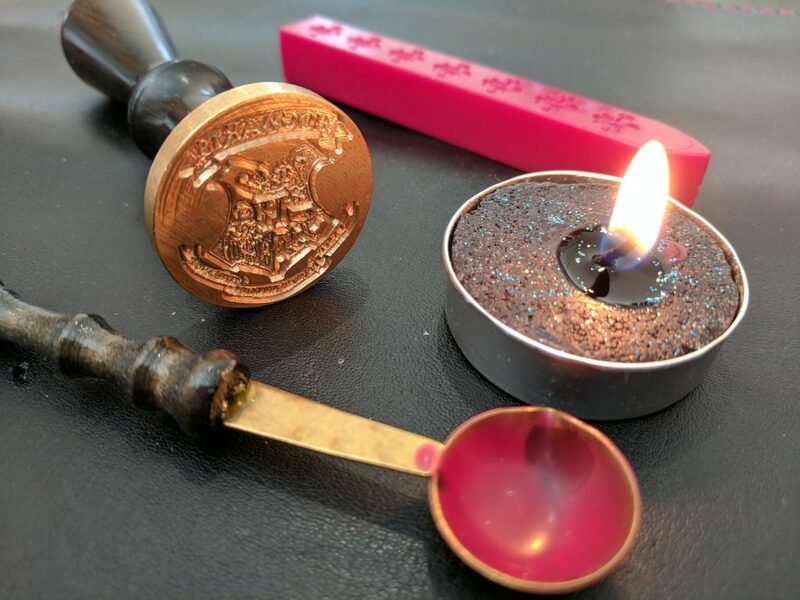 I’d say that wax sealing and signing with a quill would be the best way to get a really authentic look to your letters – so much so that many of my friends didn’t want to rip open the seal! What do you think? My living room is already a mini shrine to Harry Potter, but I decided to take it up a notch! 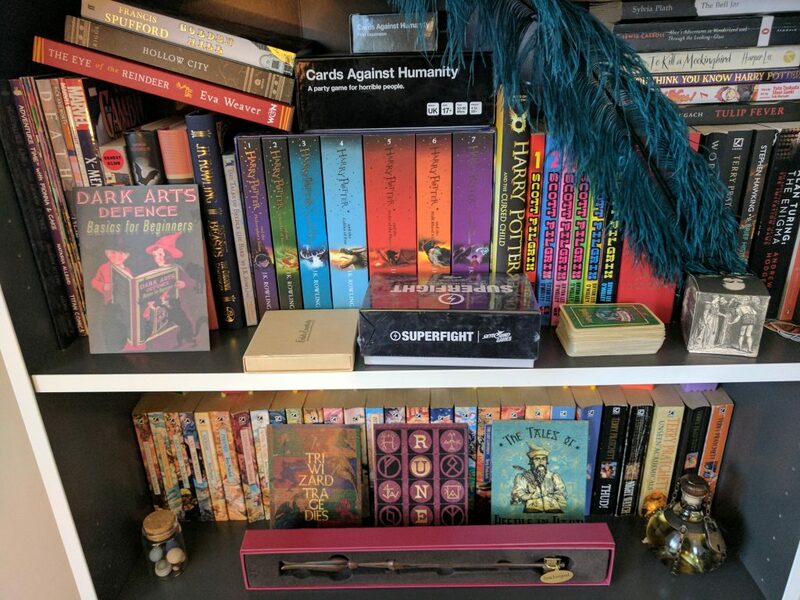 Along with my everyday shelf items, I also added some other little details like a quill and ink, some of my Mina Lima prints and my Luna Lovegood wand! 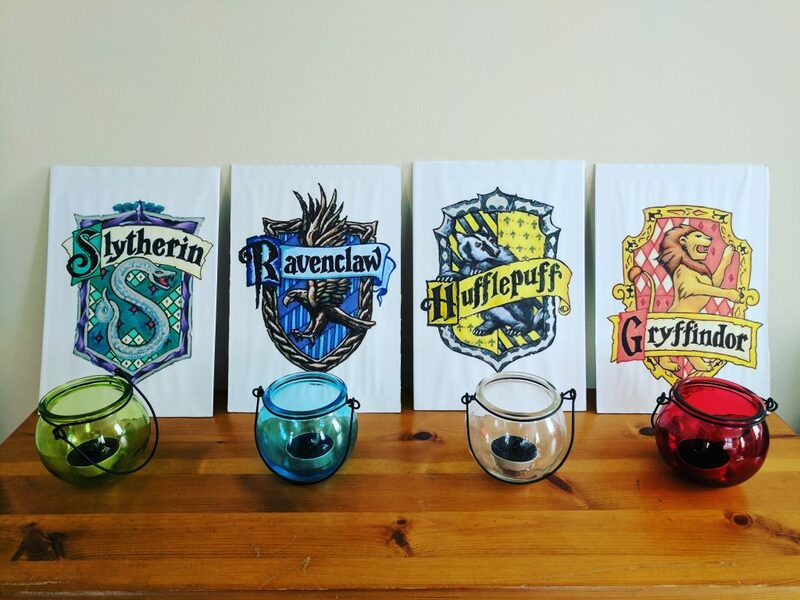 My house is Ravenclaw so I prioritised the decor to suit but I also made sure all of the houses were represented in their own ways using candles, props and house badges. We were a bit short of Hufflepuffs and Ravenclaws at the party! Where are you all at? My mother doesn’t throw anything away… and this time she has outdone herself! 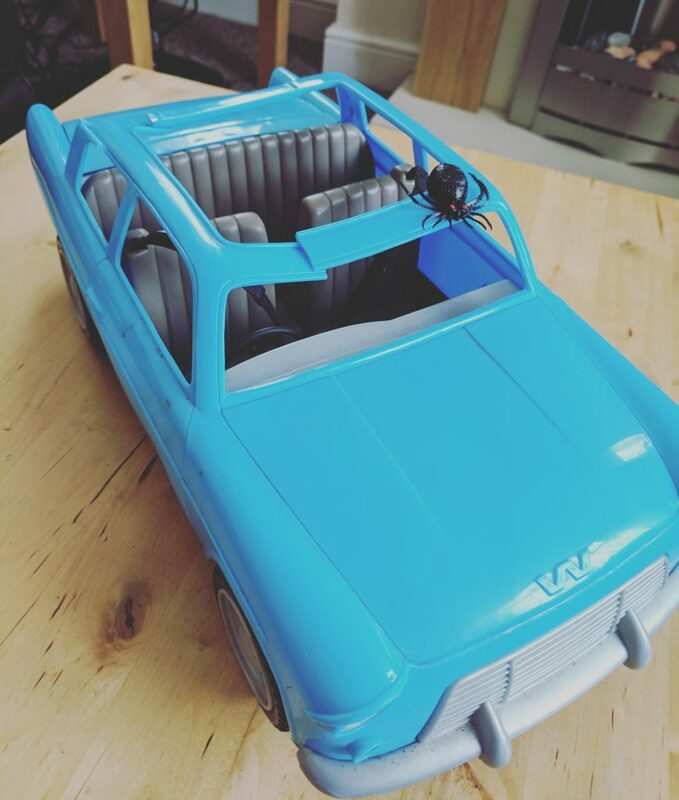 She found the Weasley’s car from the Chamber of Secrets – just in time to use it for my party as decor. 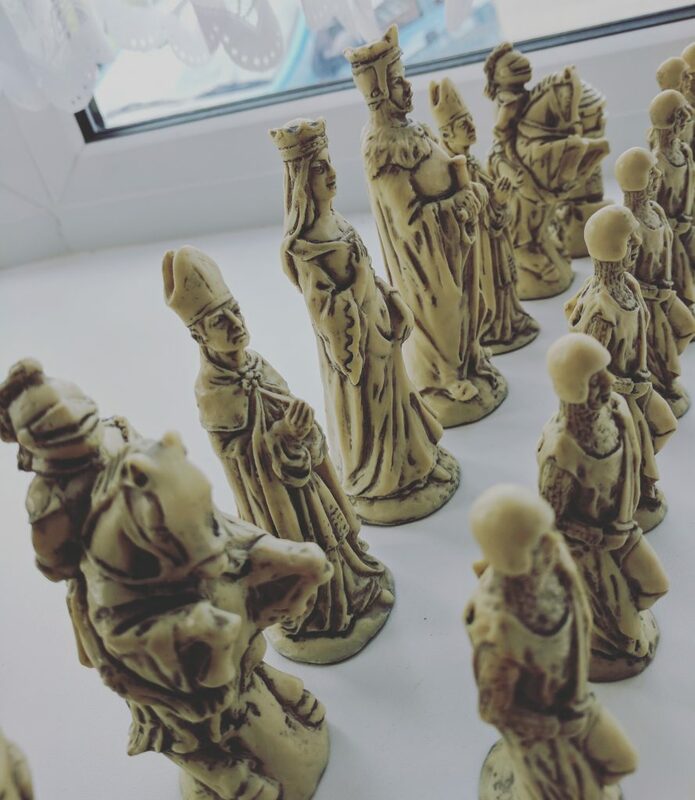 My dad (also being straight-up brilliant) gave me this magnificent chess set that resembled wizards chess, so I took full advantage of that too! Find things that you can use from everyday life! I wanted the Sorting Hat to be the first thing people saw so I placed pride of place in the room – most people had been sorted so we didn’t need to do any ceremonies! 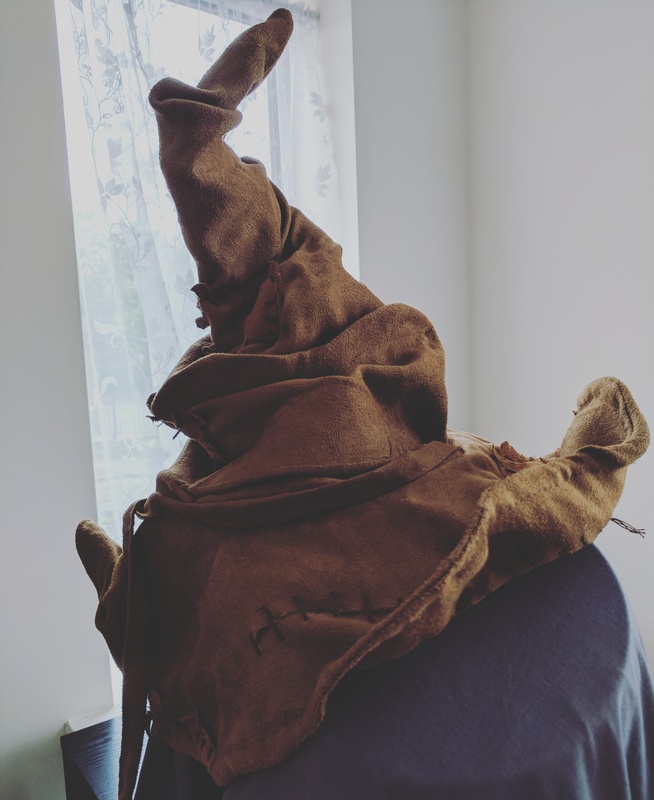 This sorting hat was my friend’s and unfortunately, I must give it back, and have no idea where it came from! I set up the kitchen first using a quick Hogwarts Crest and ribbons in house colours to accentuate it and make sure it all tied in nicely! I wanted to give the impression of the glow of a Hogwarts Kitchen, so I helped set the tone with dim lighting and fairy lights. 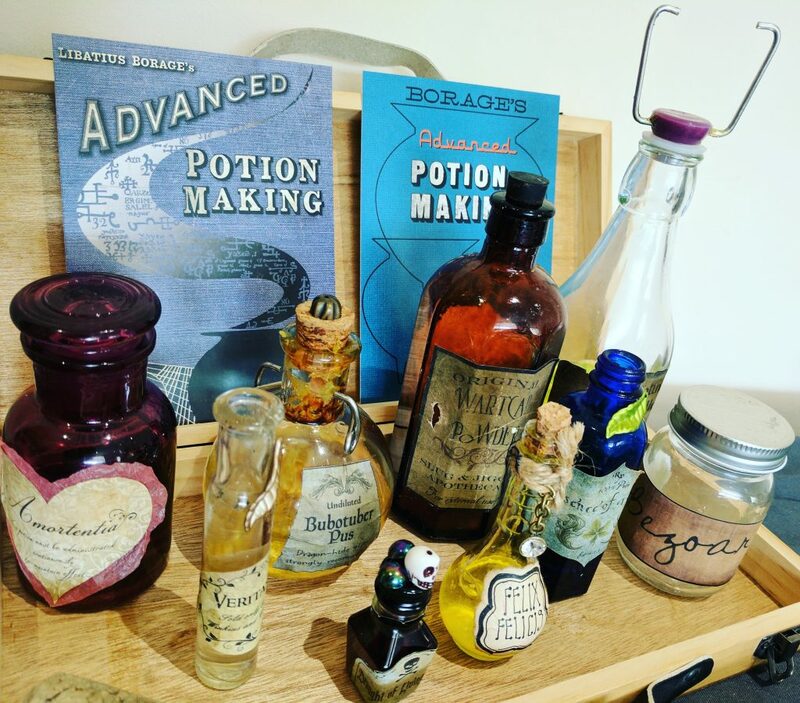 With a crystal ball for some divination, some of my boxes from my HP studios sweets and my potions master box on the table as decor on a slate grey tablecloth it really set it off! For the potion bottles, I began collecting interesting looking bottles and used free online printables and weathered them for the labels. 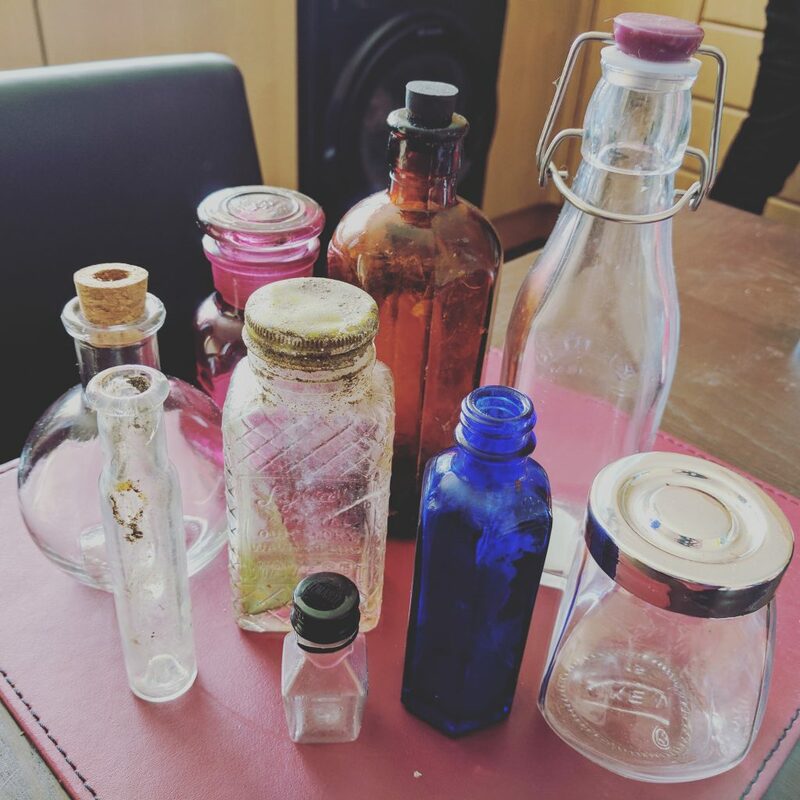 For the contents of the potion bottles, I used everything from leaves to luminescent kitchen cleaner! 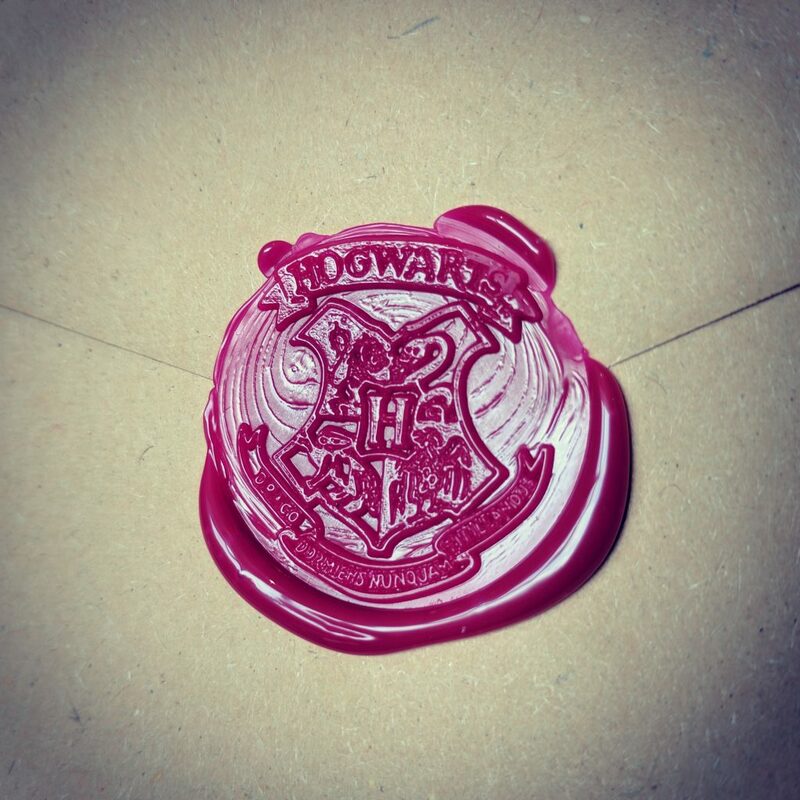 Also, my Advanced potion making postcards from Mina Lima fit in a treat! As some finishing touches to the rest of the house, I popped a sign up to ensure that no-one went out of bounds! 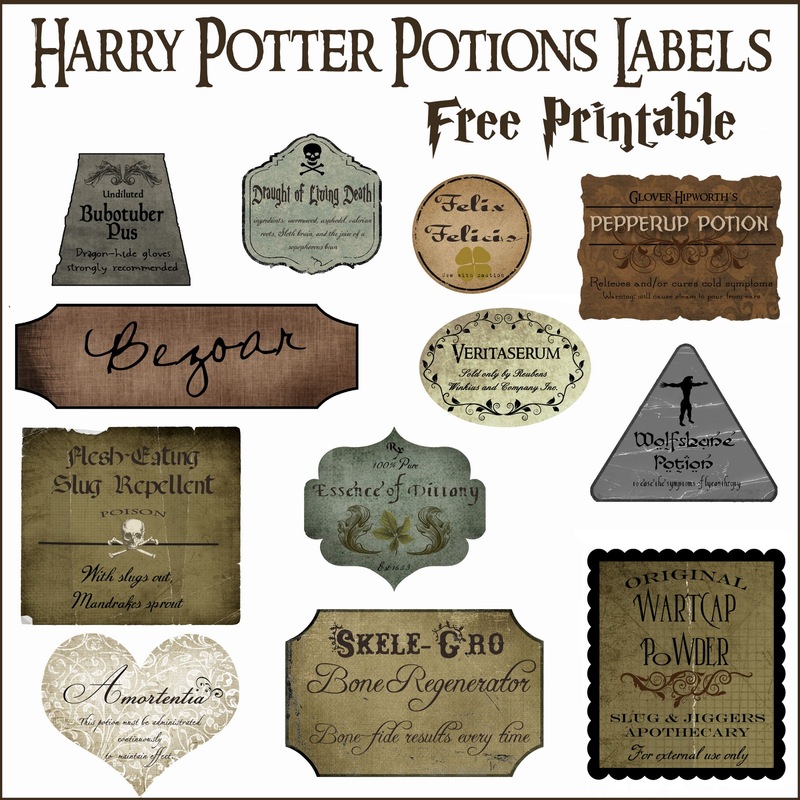 I used a free Harry Potter font for all my signs and labels. 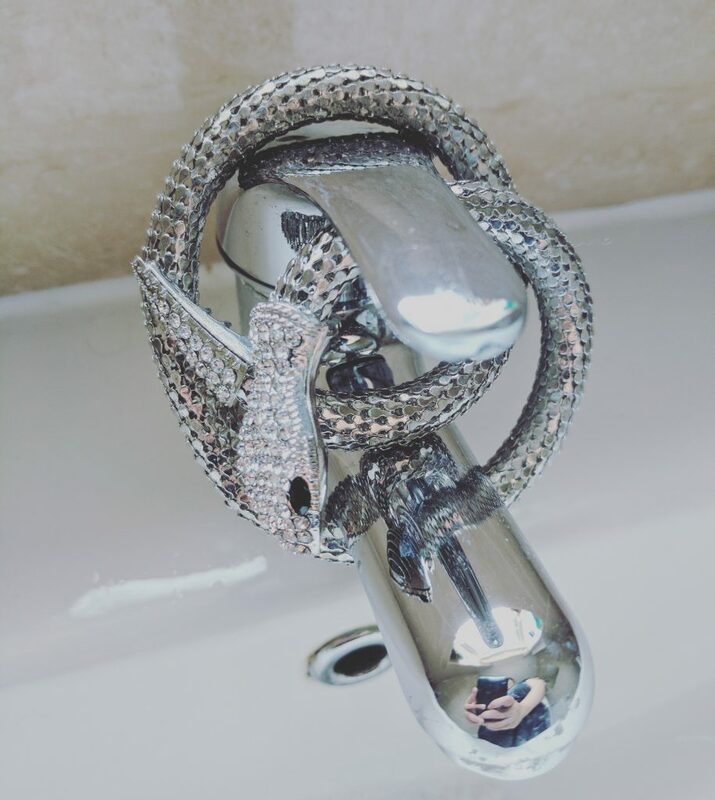 Keeping the theme going in the bathroom, we had a cheeky Moaning Myrtle attached to the mirror and a snake around the tap marked the entrance to the Chamber of Secrets! Overall this party took a lot of effort but it really paid off in the end! I hope this inspires you and helps with your Harry Potter Party Decorations and Invitations. 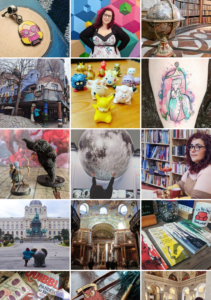 Please do share your ideas with me and let me know if you used some of mine! Next week for the 20th anniversary of the Philosopher’s Stone, my party food and drinks! Check it out here! 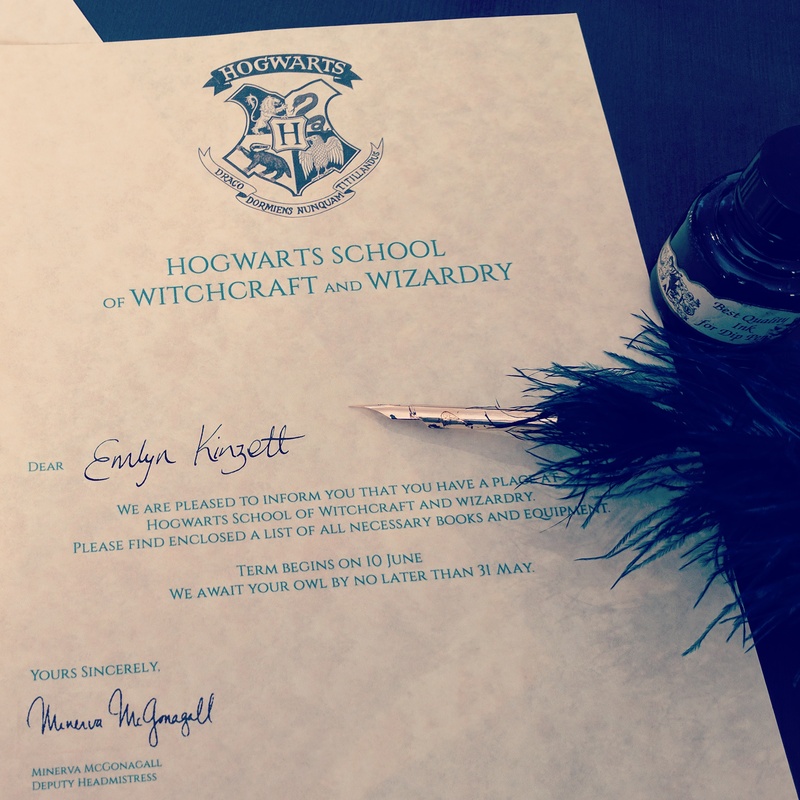 Pingback: On the 13th Day Of Christmas my True Love Gave to Me... Ravenclaw Gifts. Major Adulting: First ever Hen Weekend!